No one can say it better than a former Foster Child! Dis Kritiek om Binding te bewerk met jou Veiligheids- Pleegsorg Kind! What is Christian Foster Care? Foster care is not the same as legally adopting a child. “Foster care is the placement of a child, who needs to be removed from the parental home, into the custody of a suitable family or person willing to be foster parents. This is done by order of the Children’s Court.” Children can be removed from the custody of their biological parents if they are abused, neglected or abandoned. In South Africa, poverty contributes to abuse, neglect and abandonment, but these issues are not limited to poor communities. As a foster parent, you will experience many challenges and some difficult days – but most parents find that the joy of seeing their foster children push through their own pain and anger far outweighs it. As your foster child moves through their own difficult emotions, he will look to you for love and support, and become more and more a part of your family. Many foster parents are still “home base” to the children they fostered, and welcome them back home for holidays and summer vacations even after they’ve reached adulthood. Prospective foster parents are screened by welfare organizations to ensure they are suitable to take on the responsibility of caring for a child. The factors taken into account when screening applicants include: The age of the prospective foster parents; The health of the prospective foster parents; The family composition and income; etc. Although foster placement is temporary in nature, the screening process is taken seriously and always in the best interests of the child. Prospective foster parents will also be interviewed about their views on raising children and education, their attitude towards the biological parents, and their motivation to foster a child who is not their own. Religious and cultural factors are also taken into consideration, factors which may have considerable implications in a country made up of diverse ethnic groups. South Africa has a current shortage of social workers. Nevertheless, social workers are responsible for the supervision of foster parents, which usually takes the form of annual house visits, unless there are problems related to the placement. The obligations of foster parents include: Giving proper maintenance and care to the child; and Granting reasonable access to the child’s biological parents. In South Africa, foster parents are permitted to discipline a child in their custody. They are not permitted to deal with any property belonging to the child (that the child has brought into the household or received as a gift from the biological parents), consent to the marriage of the child or to a medical procedure that may endanger the child’s life. And a foster child is not allowed to be taken out of South Africa without prior authorization. Prospective foster parents should contact the Department of Social Development or Christian Social Council offices in their area (see list below for contact information). After contacthas been made, a screening process with a social worker and a house visitation will follow. Foster parents will then be summoned to appear before the Children’s Court, where the social worker will recommend that a child be placed with the suitable foster parents who have already undergone the screening process. Should you be interested in becoming Foster Parents, please click on this link to access a List with Contact details, of Christian Social Council Offices, in your area. If my husband and I are interested in becoming foster parents or a place of safety for children in need, even if it is just temoprary , whould we be considered as we have children of our own and , does a place of saftey aldo require the same screaning as a foster parent. then also what is required if you want to become a social worker. if I’m interested in becoming a foster parent, how does it work… for example, if I want to help maybe a 4 year old. Is it possible or don’t you have a choice in who they want to give you to foster? You are allowed to ask for a specific aged group child. However, the more specific you are the longer you might have to wait for a placement. No, the child’s Case Worker needs to apply for it. Good day. Please contact your closest CMR or Welfare Offices to apply. there is a detailed Nationwide List of CMR offices on the information page of this blog. 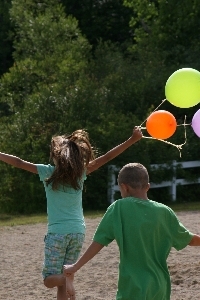 Welcome to our S.A. Foster Care Blog!